The Cheddi Jagan International Airport (CJIA) says it has recorded the highest passenger movement through the country’s main port of entry in 2018. Between January 1 and December 31, 2018, some 630,143 passengers were processed as compared to 592,053 in 2017. According to airport officials, this represents a 7 per cent increase from the corresponding period last year. Additionally, for the first-time arriving passengers represented a larger percentage of the total number. In fact, international passenger arrivals for 2018 was 325,800 or 9 per cent higher than in 2017. 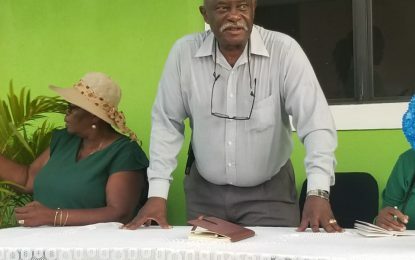 Other factors can be associated with increased business interest in Oil and Gas, Agriculture and tourists arriving in large numbers for the Easter Festivities, Bartica Regatta, Rupununi Rodeo, Christmas and Investment Forums, Minister Patterson said. According to CJIA, 6 airlines currently operate at the airport plying several destinations. The most dominant destination is New York City with a 34 per cent market share in 2018. “Destinations Canada and Aruba recorded 15 and 14 per cent respectively. Miami followed closely with 12 per cent,” the release added.